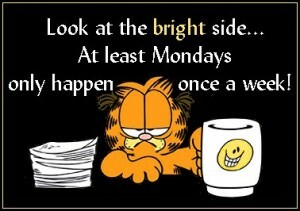 It’s the Monday after Super Bowl (YAY, GIANTS) and I have a case of the Monday’s! My brain doesn’t want to work, and I have work that I need to get done! I wish my energy level would pick up, but it’s not. In that case, I’m promising you, my faithful readers and friends, that tomorrow will be a better day here at Chick Lit Goddess!